My CB550 started life as a 1978 K model. 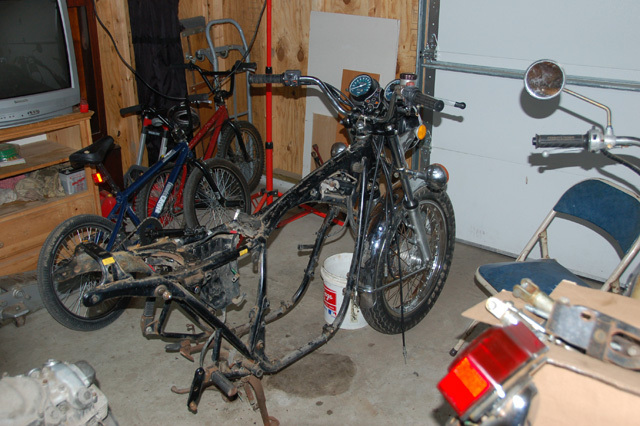 By the time I got it, someone had swapped a lot of the parts from a donor bike. 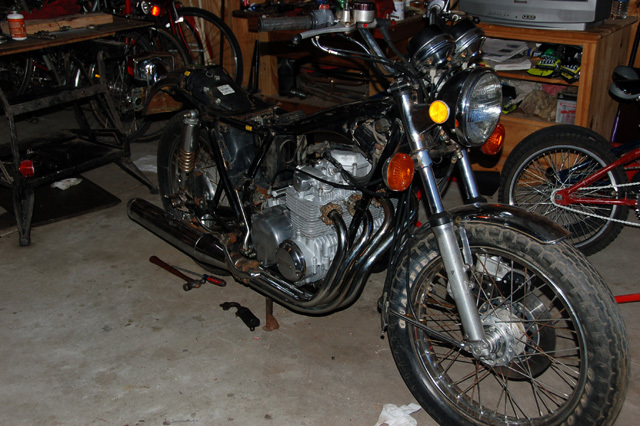 I'm not sure if the engine is the same, but the carbs are Heihin CR carbs from '74-'76 and not the PD carbs. The exhaust is a 4 into 1 from an F model. The gas tank is maroon, but the side covers are black. So it's anyone's guess exactly how the bike looked new. 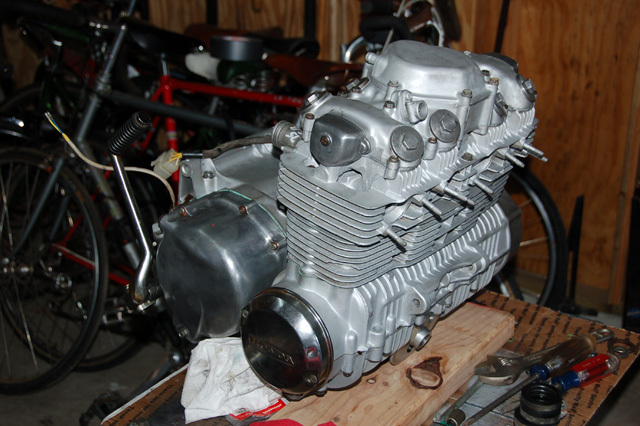 The original PD carbs had the vacuum port on the carb, where the CR carbs had the vacuum port on the intake manifold. Because I had PD manifolds with CR carbs, i had no vacuum ports to tune the carbs. A quick trip to Ebay fixed that, but then the intake diameter of the CR manifolds was slightly smaller, and the intake rubbers that were on the bike didn't seal, so I had to order new ones. The project stalled at this point. I still need to install the manifold to carb rubbers, adjust the carb floats and figure out the air cleaner and the carb to air cleaner rubbers that I was finally able to track down to replace the pod filters that were on the bike. I still have an electrical gremlin, as the turn signals aren't working like they should. Figure out what to do long term with the exhaust. The 4 into 1 F exhaust bolts onto the K frame, but you can't use the kick starter. If you install a kick starter from an F on a K, it hits the peg. When I tried to bolt on pegs from an F, they didn't bolt onto the frame as the bung for the peg is in a different spot on the K frame than an F. I did pick up a used 4 into 4 exhaust, but the mufflers are pretty rotten. I'm probably going to cut the 4 into 4 pipes down, and put on an aftermarket 4 into 2 exhaust once I get it running reliably.